Are you searching for thorough and honest auto repair in San Diego for your Audi? Look no further than John’s Automotive Care. We’re your leading choice for professional auto mechanics, accurate auto repair, and fantastic customer service. If you have the time to wait while we repair your Audi, we encourage you to hang out in our waiting area, which includes snacks, coffee, free WiFi, and more. We also provide free shuttle service around San Diego and can offer you a rental car at a discounted price. Our team of auto mechanics will communicate with you about what needs to be fixed on your Audi to keep you and your passengers safe. 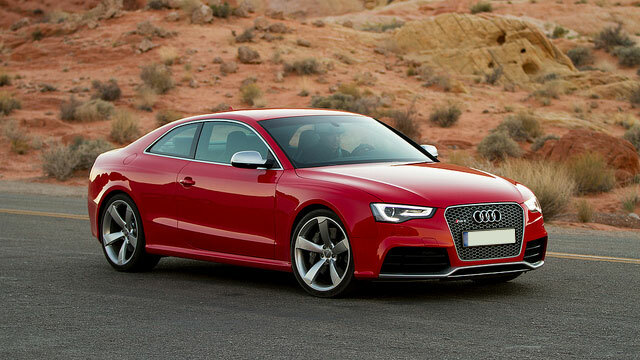 At John’s Automotive Care, our ASE-Certified auto mechanics have many years of experience working with Audi vehicles. We have proven time and again that our dedication to auto repair and customer service cannot be matched by any other facility in the San Diego area. We’re so confident about the high quality and accuracy of our work that we happily provide a 36-month/36,000-mile nationwide warranty. Audi owners, like you, know they can rely on receive stellar auto repair and customer service at John’s Automotive Care. Our highly-qualified and trained auto mechanics are leaders in the automotive industry. Our team consistently earns fantastic reviews and testimonials from satisfied clients and takes great pride that clients choose us as their leading auto repair service center. We hope that you choose us as your premier car repair service center, too. To schedule an appointment for your Audi service, call us at (619) 304-0815. Visit John’s Automotive Care at 6267 Riverdale Street, San Diego, CA 92120.